ok, this is the last one! I'm exhausted...4:15 comes quick. And since I've been playing all day, I have too much to do right now. This is about the time of day when my body goes into shutdown mode!!! For my little 4 x 4 card, I used Niki's image. I'm psyched that she will be a stamp designer in 2010, I love her style and look forward to seeing what sets she has in her collection. 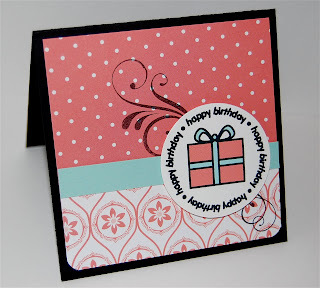 Your cards for this challenge are all absolutely lovely! Super cute card. I took some short cuts to get all 9 entries in with high hopes of winning something this year!